Discover hidden jewels of the Adriatic. 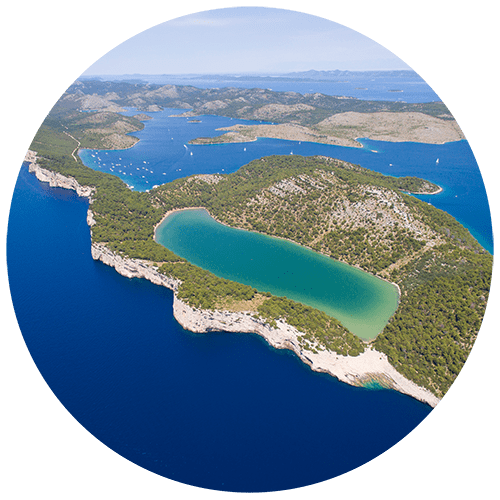 Croatia has eight spectacular national parks to discover – Brijuni, Kornati, Krka, Mljet, Paklenica, the renowned UNESCO Plitvice Lakes, Risnjak and North Velebit. It also has two reserves and 11 nature parks. Croatian cuisine is known as a cuisine of the regions since each region of Croatia has its own distinct culinary tradition with an ancient heritage. It takes the base of a fresh Mediterranean diet and gives it a “twist” of local flavor. Croatia’s cuisine offers fresh natural produce cooked in tasty, simple ways that appeal to hungry travelers. Visit UNESCO protected sites dating back to ancient Greek times. We get in touch to discuss your preferences. 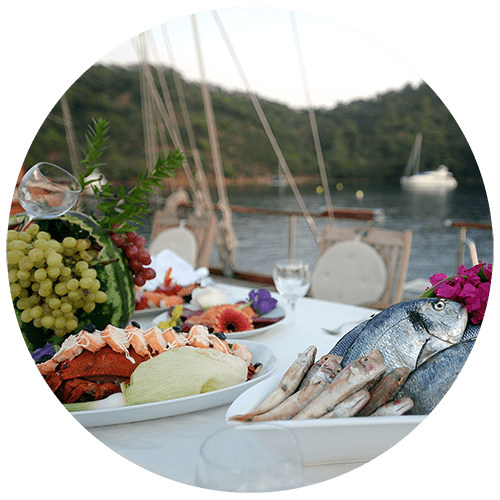 Our gulet experts will research available options and supply you with some initial suggestions – we refine this list in conjuction with your preferences until we find the perfect gulet for your charter. We discuss what would you like to see, eat, drink, and experience, and make arrangements accordingly. 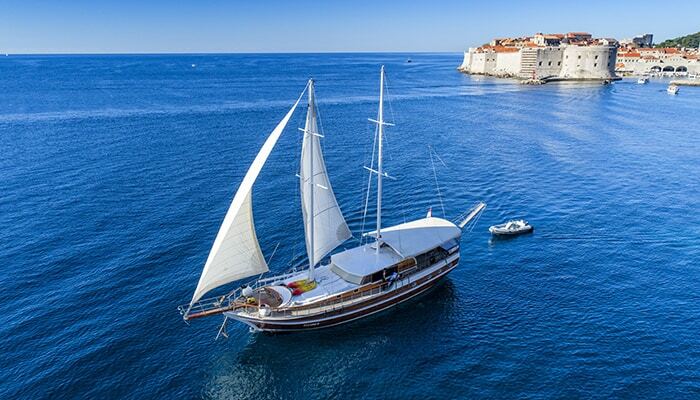 Yacht charter prices in Croatia range from (base price per vessel) €7.000 per group per week up to around €100.000, depending on the size and category of the gulet. Send us your query and we will provide you with expert, free assistance from our cruise specialists. 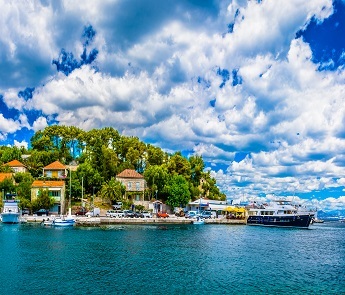 We’ve listed the top luxury gulets to charter in Croatia, best value for money gulets in Croatia and 26 of the most stunning locations to visit during your blue cruise. 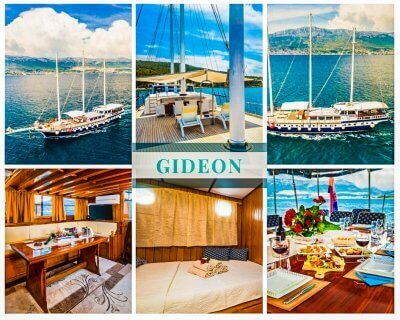 Gulet Maske is a luxury class boat, based in Split. She accommodates 10 guests in 4 double and 1 master cabin – ideal for couples only and family charters in the Adriatic sea. You will experience the real charm of the Maske, with some fun sailing activities. Gulet Pacha has a array of water sports equipment including 2 jet skis. 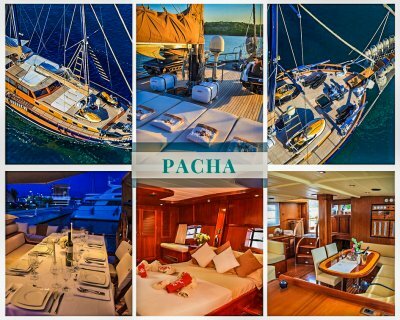 Offering a high quality of service (especially the food/menu), Pacha’s on-board cuisine is very popular with charterers. 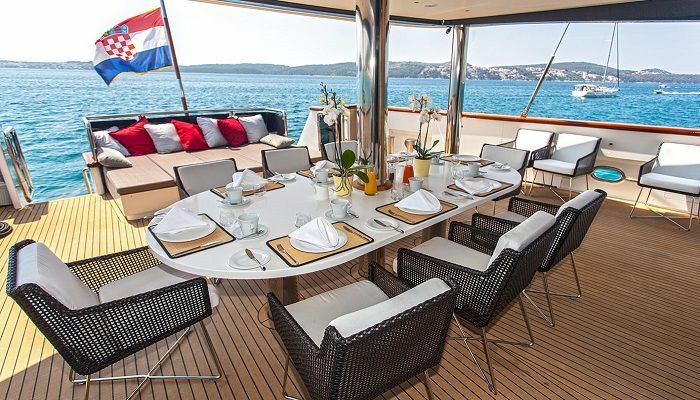 This yacht can accommodate up to 9 guests (on request). 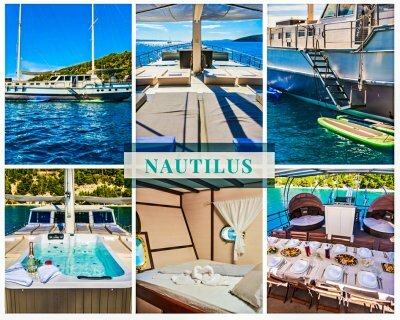 An impressive gulet, Nautilus is a 7 cabin yacht that can accommodate up to 14 guests. Comfortable jacuzzi on deck and a lot of water sports are available. 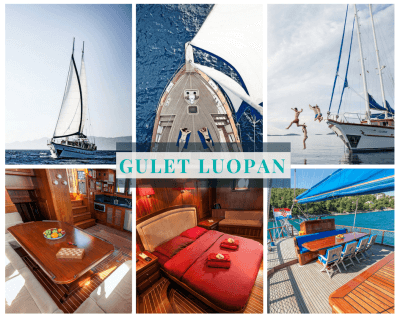 Gulet Luopan has 2 master and 2 double bed cabins to accommodate 10 guests on board. Her perfectly maintained luxury interior is made of the finest mahogany and alcantra. Professional, attentive, international crew. Owners and crew members Tonči and Mirna are very hospitable people, who will ensure that you will experience a wonderful charter in Croatia. 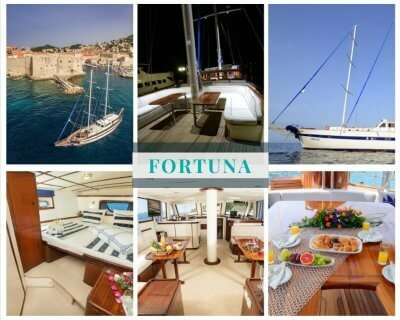 Some of our clients say that Fortuna is one of the best gulets for sailing. One of the largest motor yachts in Croatia with plenty of space on deck. 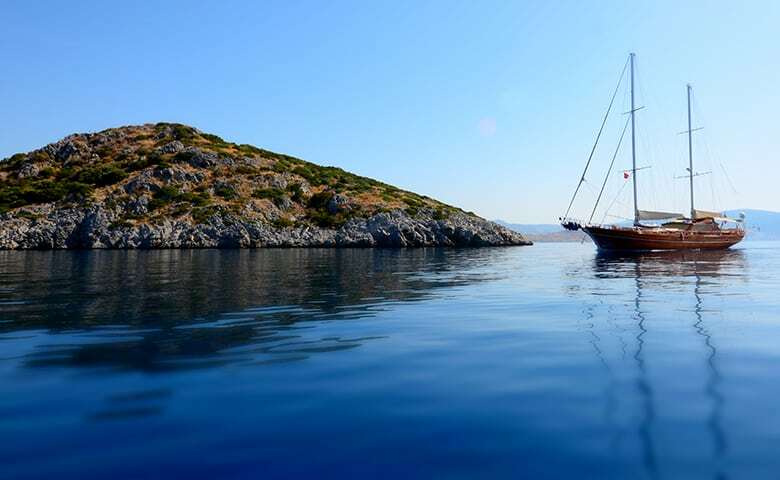 Gulet is perfect for families and couples. 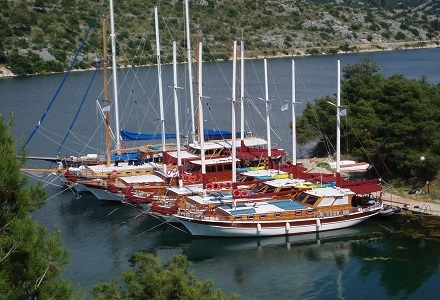 This is the only gulet with 18 berths in Croatia! 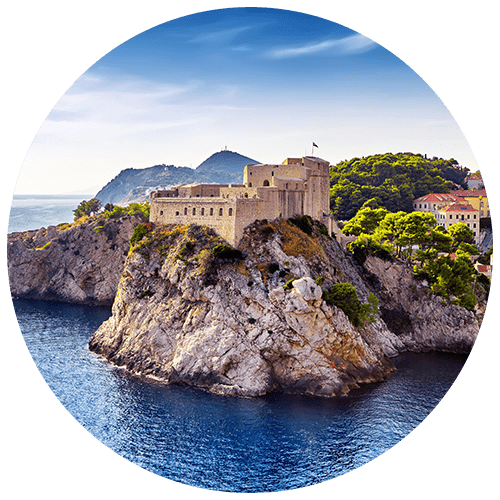 Find all gulets to charter in Croatia sorted by price. 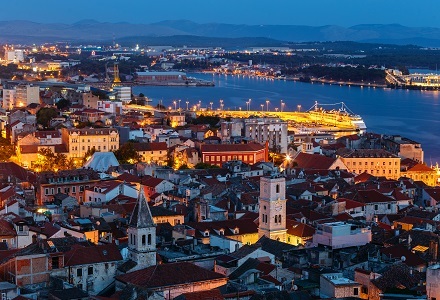 The oldest continuously inhabited city in Croatia. This historical city has been conquered at some point in time by almost all historical Mediterranean cultures, which is reflected in its unique architectural properties. It’s not too crowded nor overrun with tourists at its two top attractions – the sound-and-light spectacle of the Sea Organ and the Sun Salutation – a must-see. 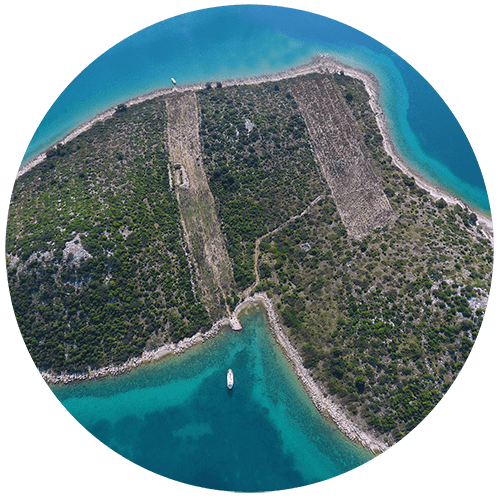 Composed of 140 uninhabited islands, islets and reefs covering 300 km2, this is the largest and densest archipelago in the Adriatic. Due to the typically karstic terrain, the islands are riddled with cracks, caves, grottoes which are mostly barren since there are no sources of fresh water. 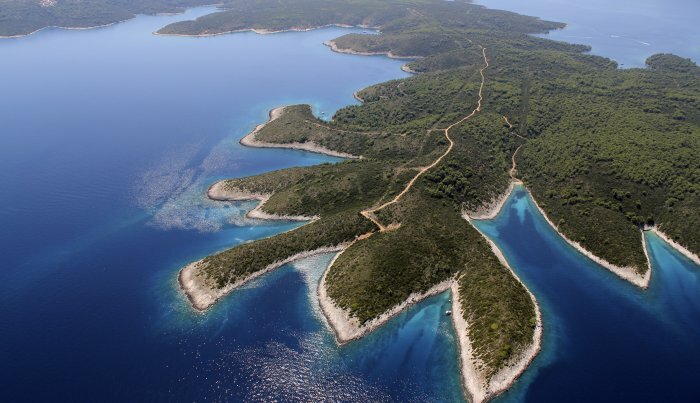 The Kornati Islands form four groups running northwest to southeast. 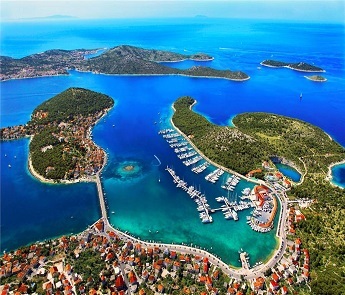 The first two groups of islands lie close to the mainland and are known locally as Gornji Kornat. The largest of these islands is Žut. 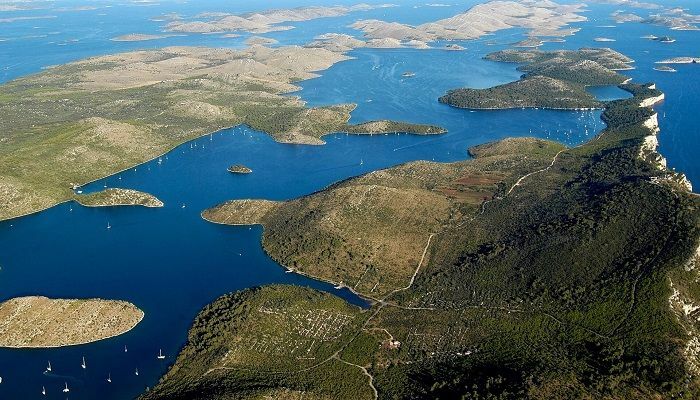 There are about 300 buildings on the Kornati Islands, mostly clustered on the southwestern coast of island Kornat. 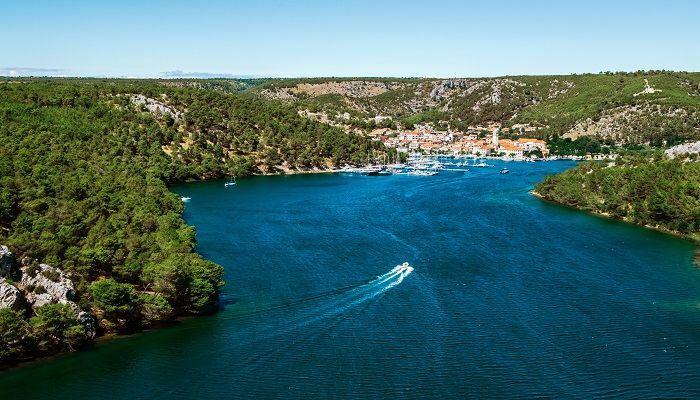 Located to the south of Sali at the very end of Dugi Otok (Long Island), is a beautiful natural harbour with islands floating invitingly. The area is officially uninhabited and popular among those seeking an escape from civilization. 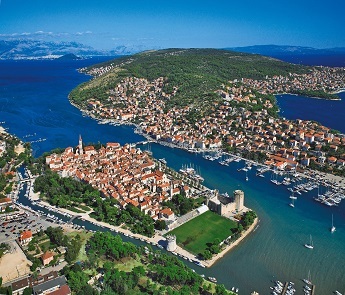 A historic city in Croatia, located in central Dalmatia where the river Krka flows into the Adriatic Sea. The city’s magnificent medieval heart, gleaming white against the placid waters of the bay. The stone labyrinth of steep backstreets and alleys are a joy to explore. 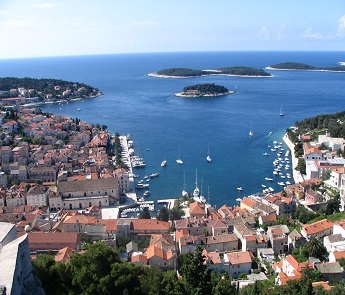 Šibenik is also an important access point for Krka National Park and the Kornati Islands. A pretty little riverside town with a combination of brightly painted and bare stone houses on its main street and a ruined fortress towering above. A great place to starting your visit to the Krka National Park. The main attraction of the park is a series of spectacular waterfalls, the largest of which, Skradinski buk, was named after Skradin. A pretty little town that occupies what was once a little islet just off the coast. During the Turkish threat of the 16th century it was fortified – and when the Turks disappeared, the drawbridge connecting it to the mainland was replaced by a causeway. A well-protected harbor on a peninsula popular with yachts-people in the know and tourists looking for a quiet hideaway. 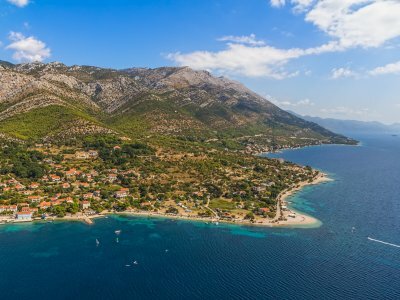 With its pebbly beaches, tranquility historic streets and some good eating options, it also has one of the best climates in Croatia, with more sunny days per year than most other coastal communities. 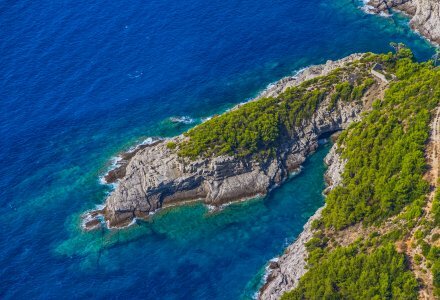 This little pair of islands is the northernmost of an archipelago that includes Šolta and Brač, creating a barrier between Split and the open sea. 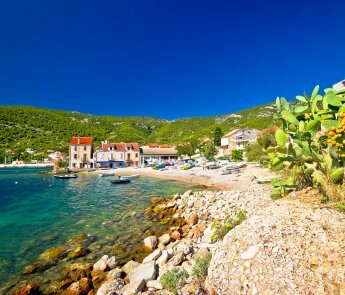 Drvenik Mali (Little Drvenik), has olive trees, a population of 56 and a sandy beach that curves around the cove of Vela Rina. Drvenik Veli (Big Drvenik) has secluded rocky coves and olive trees plus a couple of interesting churches. In the 3rd century BC, Tragurion was founded by Greek colonists. The name comes from the Greek “tragos” (male goat). It is set within medieval walls on a small island, linked by bridges to both the mainland and to the far larger Čiovo Island. 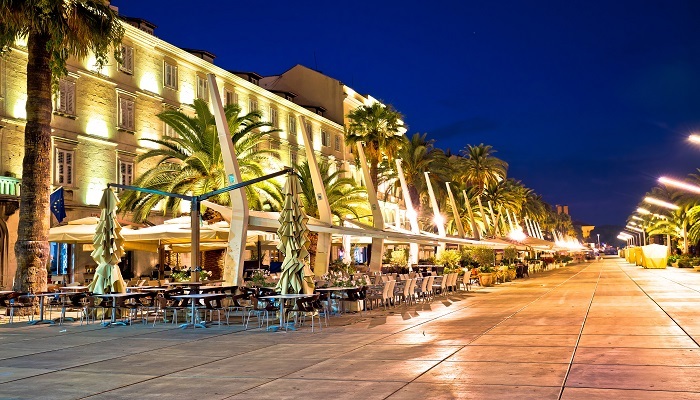 On summer nights everyone gravitates to the wide seaside promenade, lined with bars, cafes, and yachts – leaving the knotted maze-like marble streets gleaming mysteriously under old-fashioned streetlights. 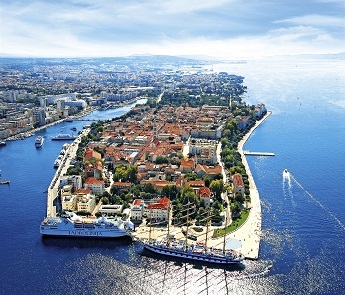 Croatia’s second-largest city, Split, is a fascinating destination to observe modern Dalmatian life first-hand. Always buzzing, this exuberant city has just the right balance of tradition and modernity. Step inside Diocletian’s Palace (a Unesco World Heritage site and one of the world’s most impressive Roman monuments) and you’ll see dozens of bars, restaurants, and shops thriving amid the atmospheric old walls where Split life has been humming along for thousands of years. 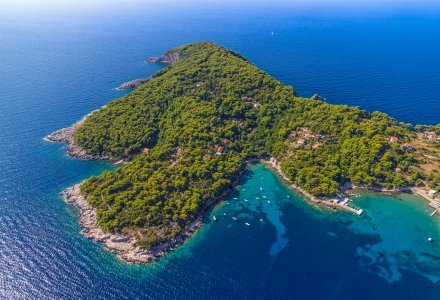 This lovely, wooded island is a popular getaway for Split inhabitants escaping the sultry summer heat. 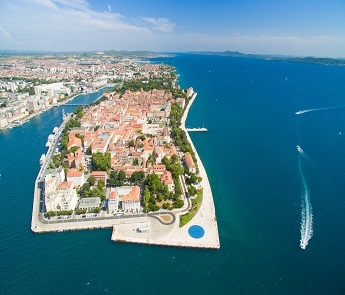 The island’s main entry point is Rogač, where ferries from Split tie up at the edge of a large bay. A shaded path leads around the bay to smaller coves with rocky beaches, and a small road leads uphill to the island’s administrative center of Grohote, which has a market and shops. Maslinica is the island’s prettiest settlement, with seven islets offshore, a handful of restaurants, a luxurious heritage hotel and a good choice of private accommodation. 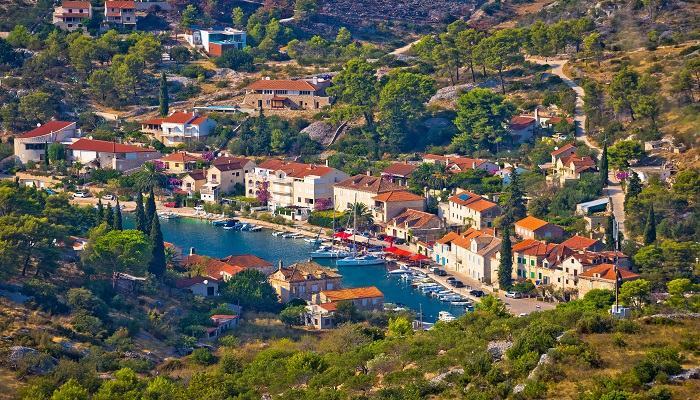 Another gorgeous village is Stomorska, with its pretty sheltered harbour popular with yachties. Famous for two things: its radiant white stone, used to build Diocletian’s Palace in Split and the White House in Washington, DC (oh, yes! 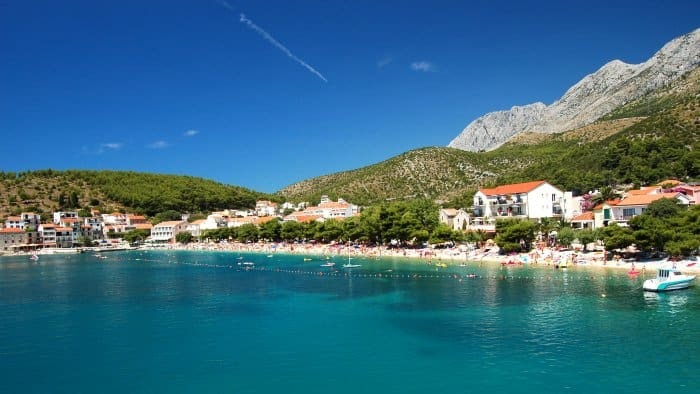 ), and Zlatni Rat, the long pebbly beach at Bol that extends into the Adriatic and adorns 90% of Croatia’s tourism posters. The two main centers, Supetar and Bol, are quite different: Supetar is pleasant if unassuming, while Bol revels in its more exclusive appeal. 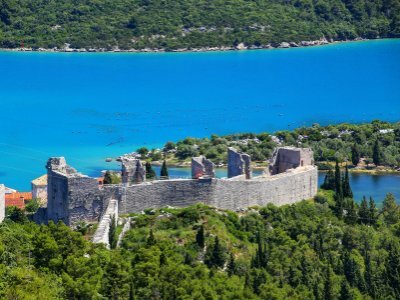 It’s the largest island in central Dalmatia, with several quaint towns, sleepy villages and a dramatic Mediterranean landscape of steep cliffs, inky waters and pine forests. The tough living conditions meant that a lot of people moved to the mainland for work, leaving the interior almost deserted. 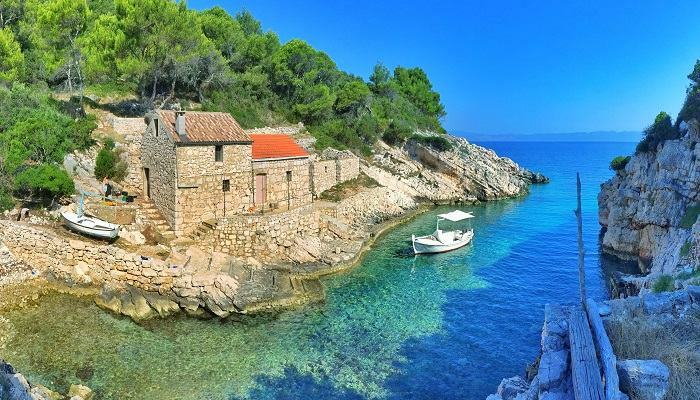 Exploring Brač’s stone villages is a lovely experience. 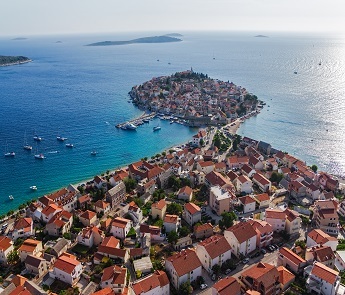 The island’s hub and busiest destination, Hvar Town is estimated to draw around 20,000 visitors a day during high season. There are several good restaurants, bars, and hotels here, but thanks to the island’s appeal to well-heeled guests, the prices can be somewhat inflated. Visitors can wander along the main square, explore the sights on the winding stone streets, swim at the numerous beaches or pop off to the Pakleni Islands to swim – but most of all they come to party. 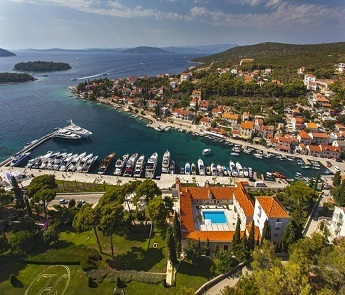 Hvar’s reputation as Croatia’s premier party town is well deserved. 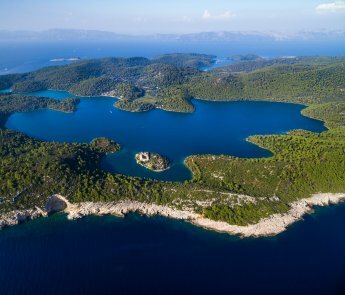 An island in the Adriatic Sea with an area of 8.36 km2, off the south coast of the island of Hvar, opposite the settlement of Zavala. The name comes from “štedri”, meaning charitable in old Slavonic because the island offers two deep, well-protected coves. 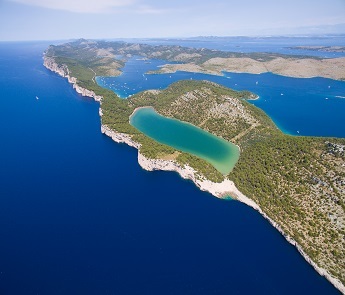 The island is very fertile, and has a milder climate than Hvar and, thanks to night dew, was even used to grow grain. A Dominican monastery was founded in the Bay of Mostir together with a hospice for sailors, which was abandoned in the 18th century. 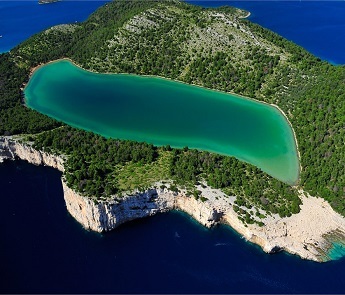 There is an old quarry at Stare Stine, and gypsum from the island was used in the Baroque chapels of Hvar cathedral. Around 30 people live on the island in summer. Of all the Croatian islands, Vis is the most mysterious – even to locals. 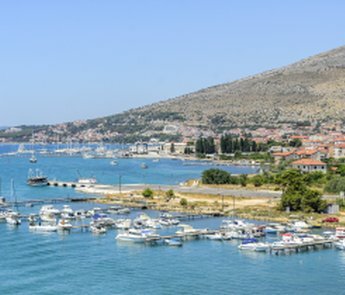 The furthest of the main Central Dalmatian islands from the coast, Vis spent much of its recent history serving as a military base for the Yugoslav army, cut off from foreign visitors from the 1950’s right up until 1989. The isolation preserved the island from development and drove much of the population to move elsewhere in search of work, leaving it underpopulated for many years. Vis has its own distinct grape, Vugava, that’s been cultivated since ancient times. You can also taste some of the freshest seafood here, thanks to a still-thriving fishing tradition. 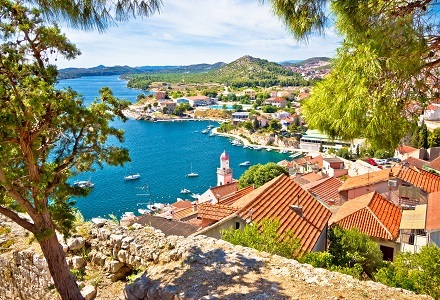 Rich in vineyards, olive groves and small villages, the island of Korčula is the sixth-largest Adriatic island, stretching nearly 47km in length. Oenophiles will adore sampling the local wine. Arguably the best of all Croatian white wines are produced from Pošip grapes, which are only grown here. 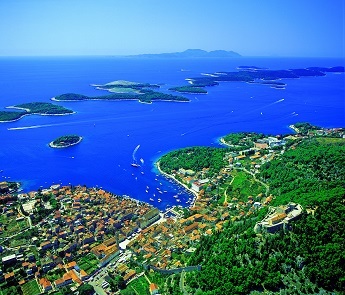 Dense woods led the original Greek settlers to call the island Korkyra Melaina (Black Korčula). Coves and small sandy beaches dot the steep southern coast, while the northern shore is flatter and more pebbly. 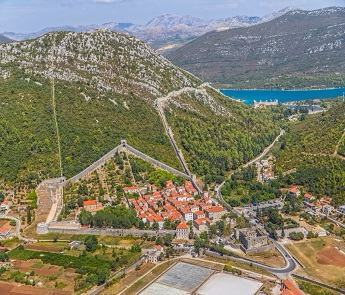 Ston was a major fort of the Ragusan Republic (medieval Republic of Dubrovnik) whose defensive walls were regarded as a notable feat of medieval architecture. The town’s inner wall measures 890 metres in length, while the Great Wall outside the town has a circumference of 5 km. The walls extend to Mali Ston (“Little Ston”), a smaller town on the northern side of the Pelješac and the end of the Bay of Mali Ston, notable for its mariculture. Don’t forget to taste fresh oysters grown in the area. 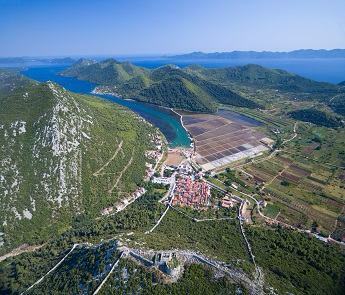 One of the most remote and undeveloped of Croatia’s populated islands, little green Lastovo sits in quiet isolation south of Korčula and west of Mljet. 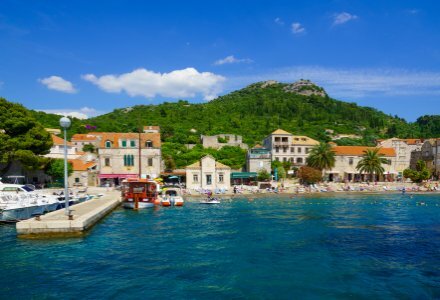 The main attraction is Lastovo Town, a striking collection of stone houses and innumerable aged churches clinging to a hillside in the interior. Like similarly far-flung Vis, the island was used as a military base during the Yugoslav era and was closed to foreign visitors. Now that it’s open for business it has become a favourite destination for yachties, who moor in its tranquil small bays. 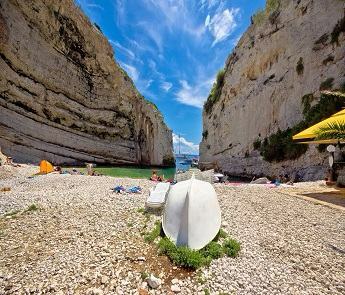 One of the most seductive of all the Adriatic Islands. It’s an unspoiled oasis of tranquillity that, according to legend, captivated Odysseus for seven years. We’re sure he didn’t regret a moment. Much of the island is covered by forests and the rest is dotted with fields, vineyards and small villages. 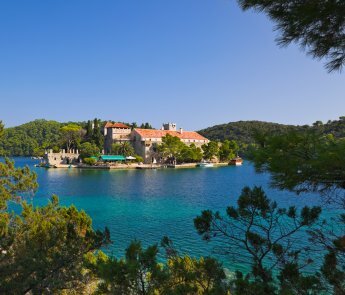 The western tip contains Mljet National Park, where the lush vegetation, pine forests and spectacular saltwater lakes are exceptionally scenic. The Elaphites have a total land area of around 30 square kilometres and a population of 850 inhabitants. The islands are covered with characteristic Mediterranean evergreen vegetation and attract large numbers of tourists during the summer season due to beautiful beaches and pristine scenery. 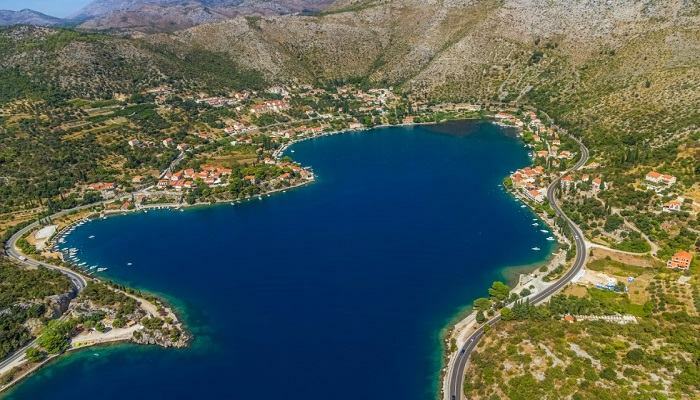 A tourist resort on the Dubrovnik Riviera, with 12 restaurants raising the dining quality in this small area, watersport venues, and an uphill hiking path to the village of Podbrezje. You want to try other destinations? INTERESTED IN EARLY BOOKING DEALS FOR 2019? Send us your inquiry and our experts will send you a selection of the latest and best gulet charter deals available in Croatia.